The name is a big clue to the flavor of this Vape Wild vape juice. Ice Cold in name and taste, this super cool fresh peppermint and icy menthol e-liquid is intense and smooth. Menthol lovers are missing out if they don’t give this premium Vape Wild menthol e-liquid a try. The flavor is good but it burnt my .6 baby beast coils in a day. Smooth not over powering. Def recommend. 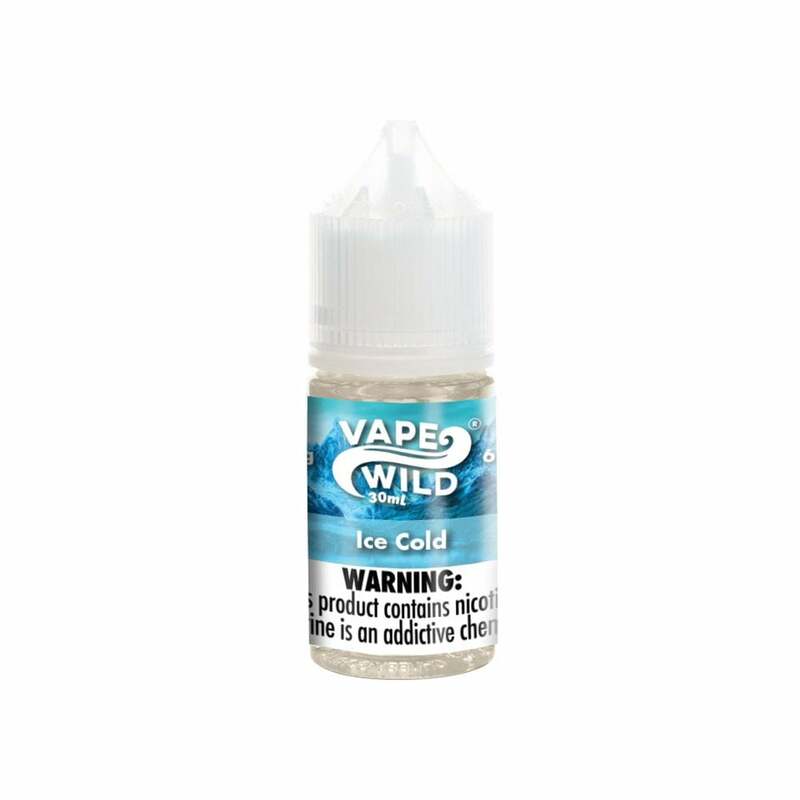 The Vape Wild Ice Cold Flavor is definitely ice cold. It's refreshing, and the menthol is so strong that it clears my sinuses. It's very smooth and it's perfect for an all day vape. I recommend choosing the lower 3mg option for a smoother vaping experience. The only problem is the description is inaccurate. This is not a peppermint flavor at all. This is actually spearmint, which I don't like as much as peppermint, so I'm going to keep searching for a good peppermint-based menthol flavor instead. I love the cool month flavor. I was a menthol smoker but once I tried this I loved it. The price is perfect and it lasts me for 3 weeks and I use it all day everyday! I have tried other mint liquids but I just didn't like them nearly as much.